Karima McAdams trained at The London Academy of Music and Dramatic Art and graduated in the summer of 2016. She went on to star in the fifth season of Vikings for MGM/HISTORY playing the role of Greek abbess “Kassia.” McAdams then went to play a supporting role opposite Helen McCrory and Sir Michael Gambon in the mini-series Fearless for Mammoth Screen/ITV, directed by Pete Travis. 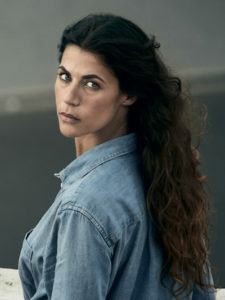 The first season of Deep State, from Fox Networks Groups, was Karima’s breakthrough lead role, in a little over six months since leaving drama school.